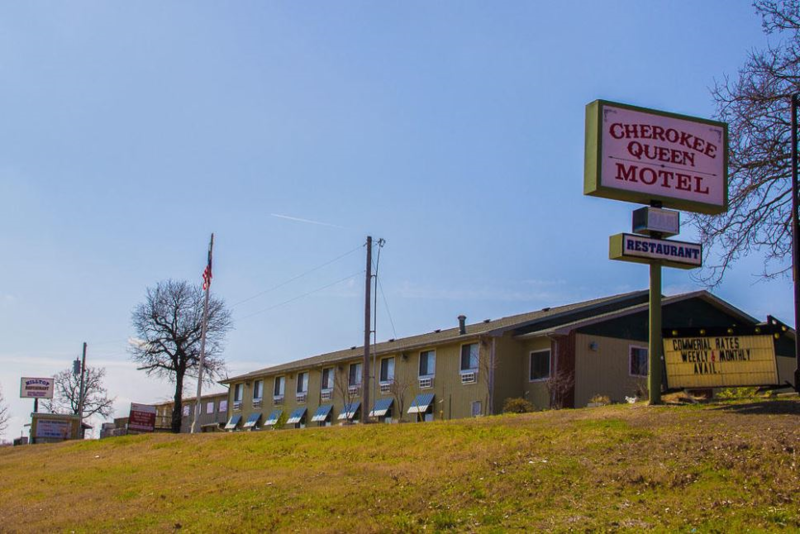 The Cherokee Queen Motel & Restaurant is situated on 1.44 acres with excellent visibility from US Hwy 59 South of Honey Creek Bridge. Well maintained property. With year-round occupancy, this 33 room motel has a furnished living quarters for owner or manager, a one bedroom rental cabin, outdoor pool and large deck for customer enjoyment. There are 5 New York Loft Style luxury apartments. Property also features a turn-key restaurant w/ seating for approx 125. The 1500 sqft kitchen is equipped with upscale stainless steel appliances, stoves, hood, cooler, grills and an outside smoker building. Ample parking.